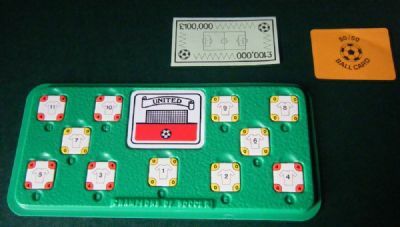 A real box of delights packed full of figures, money, cards, team boards and hundreds of player tokens. 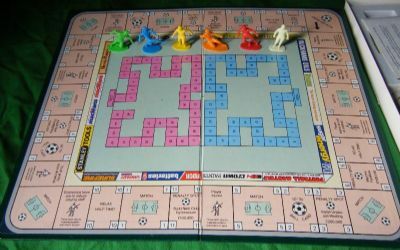 Mix of Monopoly and other gameplay. 6 football figure playing pieces. Lots of team boards names - United, City, Rovers, Town, Athletic etc. 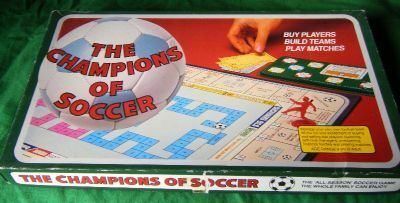 Plus hundreds of numbered playing pieces each with a different value to improve your team.